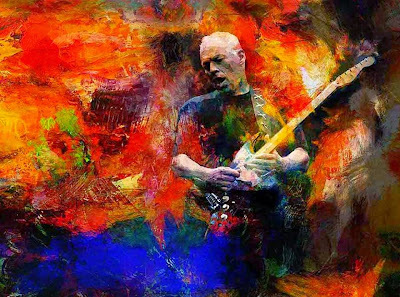 David Gilmour has announced dates for a fall European tour. The Pink Floyd guitarist – who is currently working on his fourth solo album – will begin shows on September 12 in Croatia; the 8-date run includes three concerts at London’s Royal Albert Hall. Tickets will go on sale this Friday, March 6 at 10.00am GMT. Gilmour confirmed the project last fall in an interview with Rolling Stone and also revealed plans to head out on tour in support of the record. “It's coming along very well," said Gilmour at the time. "There are some sketches that aren't finished, and some of them will be started again. There's a few months' work in it yet. I'm hoping to get it out this following year. Then I'm hoping to do an old man's tour, not a 200-date sort of thing." The guitarist performed the Pink Floyd classic, “Wish You Were Here”, during a surprise appearance with the Bombay Bicycle Club at London’s Earls Court on December 13. The album serves as the band’s tribute to Wright, who died from cancer in 2008 at the age of 65. Pink Floyd were named the No. 10 Rock News Artist of The Year as part of the 5th annual hennemusic Rock News Awards.